All the world, in fact. The world is a place of the known and the unknown. A place of information. Factual Planet is Legendary Planet's imprint for nonfiction works that explore the facts of the accepted and the mysterious. We issue new and vintage nonfiction in contemporary editions for readers seeking understanding from the perspectives of both the present and the past. Facts can be gathered, facts can be argued. They can be studied and dissected, questioned and proven or undone. For research or entertainment, here you can find them, from true accounts of the shadowy and the bizarre to history and how-to—all the world, in fact. 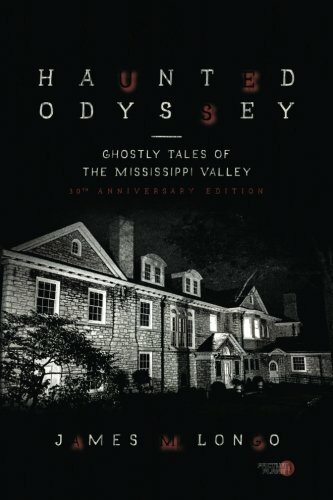 Born and raised in St. Louis, James M. Longo’s lifelong interest in ghost stories culminated in his Mississippi Valley odyssey, gathering the best stories local residents sincerely believe to be true. Stories that will haunt you. From 1817 until 1821, a hostile, supernatural entity plagued the Bell family of Tennessee. Beginning with the appearance of a strange, unnatural creature in their corn field, the harassment of the family quickly escalated from simple knocking on the walls and windows of their frontier home to cruel physical attacks focused particularly on youngest daughter Betsy. The Bell home and their invisible tormentor soon became the dark wonder of the territory. Travellers from all points of the compass came to the Bell house to witness firsthand the taunts and violence of the unseen entity, including famously General Andrew Jackson, whose entourage experienced the preternatural harassment for themselves before fleeing its power. Ghost? Goblin? Poltergeist? Its nature has remained a mystery for two centuries. 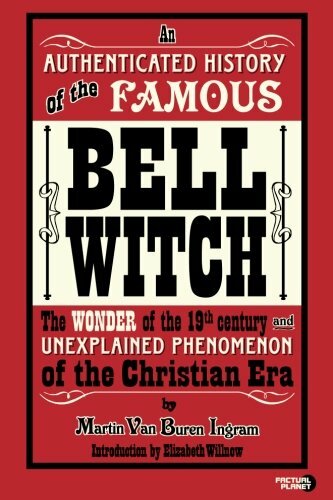 But in 1894, newspaper publisher Martin Van Buren Ingram released An Authenticated History of the Bell Witch, the Wonder of the 19th Century and Unexplained Phenomenon of the Christian Era. Based on the diary of Richard Bell, son of John Bell and brother of Betsy Bell, it incorporated interviews and others’ accounts to paint a distinct and detailed image of the experiences of the Bell family as they faced supernatural oppression. Reprinted from the original text and including original illustrations, this Factual Planet edition is based on the rare and long out-of-print “Red Book” edition of Ingram’s book, reviving its mysteries for readers interested in the hard-to-find paranormal history of the early United States. For centuries, Ireland has been a place of the uncanny, with tales and legends of magic and curses, ghosts and fantastical beings, each and every story told breathlessly and with an oath to its truth. When researcher St. John D. Seymour placed a series of ads in local Irish newspapers soliciting people’s tales of their encounters with ghosts, he was doubtful of what results he might obtain. Within a month, he received enough ghostly narratives to fill a book—and still more were on the way. The fantastic and the supernatural are as much a part of the present as they are the past in Ireland. The new Factual Planet edition of this seminal classic features stunning original photos of Ireland and an introduction by Patrick Dorsey, author of the bestselling true ghost stories collection Haunted Webster Groves. There is more potential today—probably more than ever before—to increase business and achieve success by responding to Requests For Proposals (RFPs). As they have for decades now, both government agencies and businesses rely increasingly on outsourcing to implement and complete projects. Whether it's a federal office looking for construction contractors to expand a facility, a state health agency looking for managed care organizations to run their Medicaid operations, or a local tech company looking to put in place a new computer network, organizations are increasingly turning to outside consultants and experts to get a job done. How do they find those experts? The RFP. RFPs are a doorway to contracts and opportunities. Literally billions of dollars are spent every year through RFPs, representing not just new income but new business for your company. The key is convincing the RFP issuer that you’re the best choice to do the work for them. And the way to do that is with a strong proposal that makes you the winner. What makes a proposal successful? Write the Winning Proposal provides you proposal crafting tips and insights that have won over $8.1 billion in business for one writer’s clients—tips that apply to any industry and to any proposal, small or large, and insights that can help you win contracts and grow your business.